Learn how to design products and services users love. Uncover the secrets of companies able to keep users coming back. In an age of ever-increasing distractions, quickly creating customer habits is an important characteristic of successful products. How do companies create products people use every day? What are the secrets of building services customers love? How can designers create products compelling enough to “hook” users? 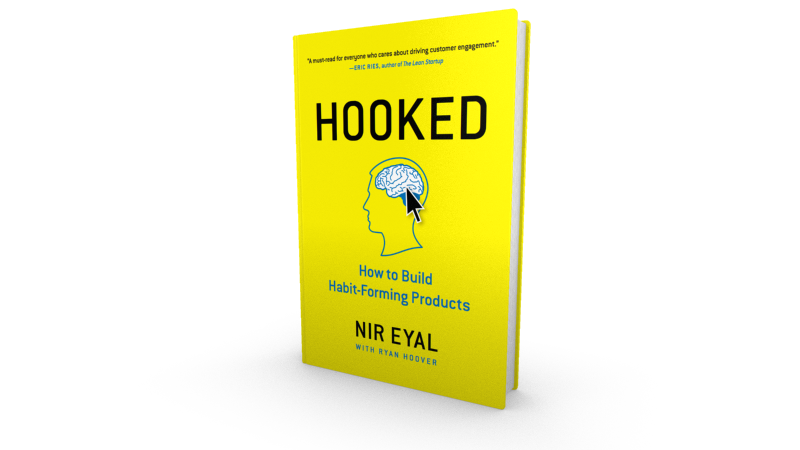 Nir Eyal, author of “Hooked: A Guide to Building Habit-Forming Products” shows you how. Nir is a two-time Silicon Valley entrepreneur who has taught the “Using Neuroscience to Influence Human Behavior” course as a Lecturer at the Stanford Graduate School of Business. His writing has appeared on TechCrunch, Forbes, Psychology Today and his blog, NirAndFar.com. In this self-paced course, Nir shares a framework for designing habit-forming products called “the Hook Model.” The framework gives entrepreneurs and product designers a new way for thinking of the necessary components of influencing user behavior. Nir will share the tactics companies like Facebook, Pinterest, and Twitter use to drive repeat engagement. Companies need to know how to harness the power of hooks to improve peoples’ lives. This workshop will provide attendees with a powerful toolkit and framework for creating better products and likely change the way they see the world. Participants will learn the common design patterns of habit-forming products. Understand the stages of habit formation and how to optimize for user retention. In-depth look at the psychology behind what drives user behavior and how to build products to cater to core human needs. Nir Eyal writes, consults, and teaches about the intersection of psychology, technology, and business. He is the author of Hooked: A Guide to Building Habit-Forming Products. Nir founded two tech companies since 2003 and has taught at the Stanford Graduate School of Business and the Hasso Plattner Institute of Design at Stanford. Nir is also an advisor to several Bay Area start-ups , venture capitalists, and incubators. Nir’s last company received venture funding from Kleiner Perkins Caufield & Byers and was acquired in 2011. In addition to blogging at NirAndFar.com, Nir is a contributing writer for Forbes, TechCrunch, and Psychology Today.